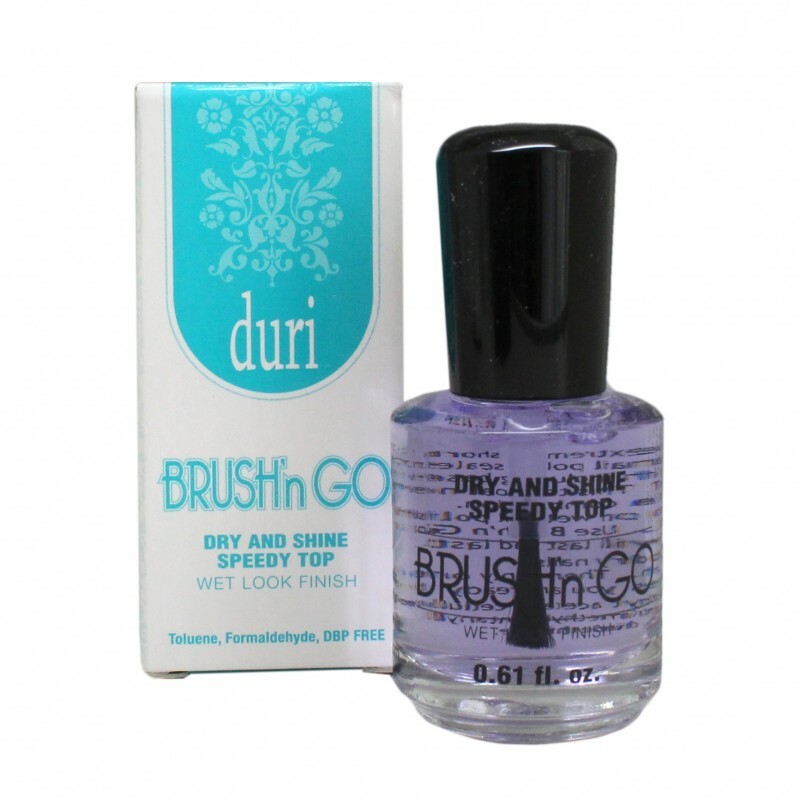 Brush'n Go by duri is a wet-look top coat recognized for its extremely fast drying time, brilliant glossy finish and ability to seal nail polish and extend the life of manicures and pedicures. Brush‘n Go penetrates quickly and dries through multiple layers of nail polish and base coat creating one uniform, solid coat with a tough, flexible and high shine finish that never yellows. This non-chip top coat glides smoothly over wet nails without streaking or dragging nail polish.